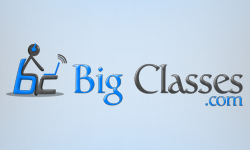 At BigClasses we offer SAP ABAP online training for the learners. In SAP ABAP online training course, we will transform the necessary skills needed to understand SAP ABAP programming and.. The SAP ABAP Workbench is pool of tools used to develop, test and run ABAP programs. All tools are integrated. ABAP Workbench tools are: 1.ABAP Editor It is used to.. The leading provider of solutions to assess and protect ERP systems from cyber-attacks, today announces extended support to the Information Security community by showcasing a new version of Onapsis X1..
A remote function call is a call to a function module running in a system different from the caller’s. The remote function can also be called from within the same..
SAP ABAP Course Overview The purpose of this SAP ABAP course is to provide an overview of the SAP programming language ABAP ECC7. The SAP ABAP course will show the..